I just got back from a week-long roadtrip to my hometown and can’t wait to share a ton of info with you, like my edible shampoo and conditioner! 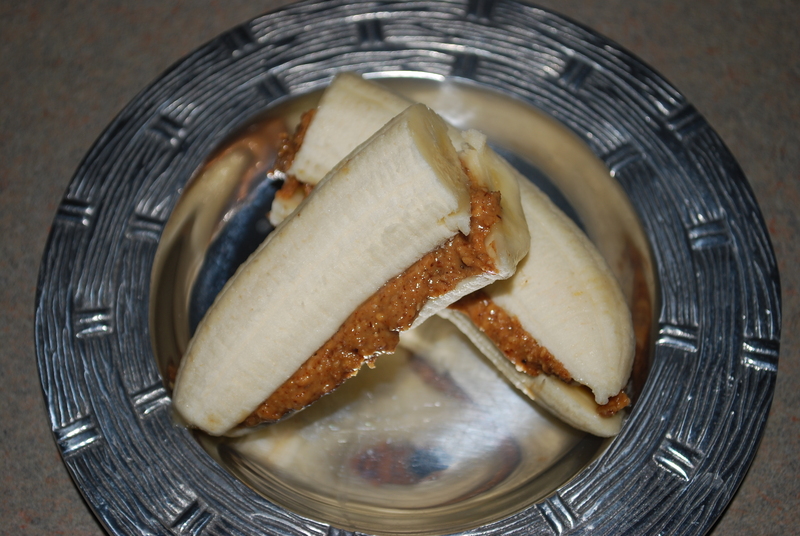 But first, I think it’s only fair to do one last post on Going Paleo. See part one and two if you need to catch up. 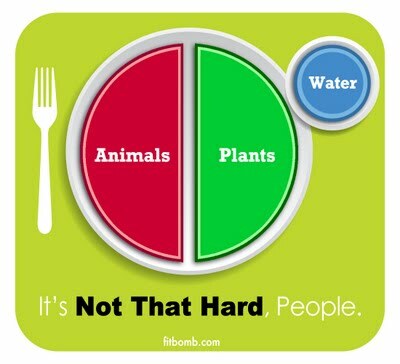 I was talking to a high school friend the other night, about going paleo, and was raving about how great I feel and how my hubby and I happened to lose weight while eating. She said she was a busy college girl (studying chemical engineering) and would love it if I could do a post on a breakdown of how I eat throughout the day. I thought that was a great idea! Sure I can give you recipes but sometimes people just need you to tell them where to start. This was right up my alley since I had even printed up menu ideas for newly diagnosed celiacs a few years back. Like I told my friend-we eat A LOT of eggs. It’s not uncommon for us to go through two dozen easy in one week. I feel like the Costco people should know me by now, always coming in babywearing Emma in my Ergo, just to get their two dozen cage-free eggs. Can I tell you secretly how much I heart Costco? If you have one close to you, check them out stat. I will run in there when I’m in a pinch for dinner and grab one of their $4.99 rotisserie chickens, that has no added hormones or antibiotics and is gluten-free. 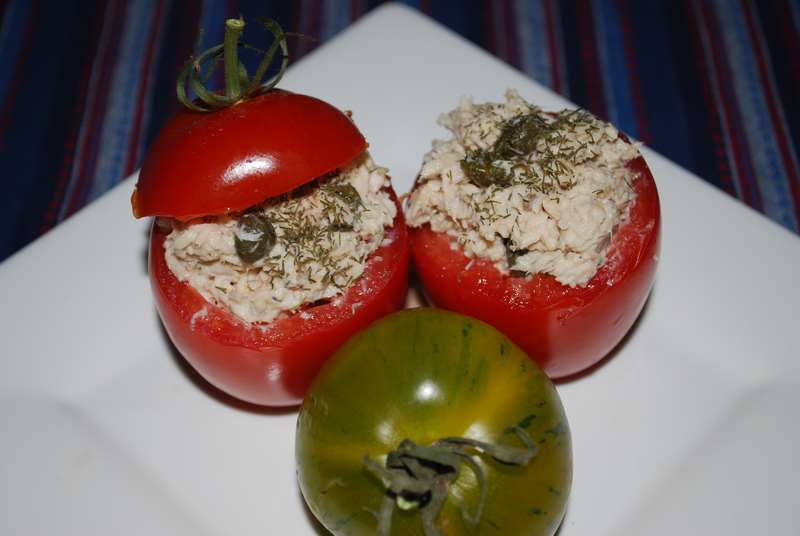 It usually lasts a couple of meals and is always a good snack when we’re out and about. A few weeks ago, I happened to snag a pound of their fresh wild-caught sea scallops for a quick dinner and they were delish! Now don’t get me wrong, just because I stay home with baby girl it doesn’t mean I can’t get in a rut bind with cooking. I don’t mean to complain about cooking every.single.meal, but it does get old sometimes not having enough leftovers for the following day or for Josh’s lunch. It constantly feels like I’m doing dishes every time I turn around-blah. I might have to see if I can tempt my mom to come up and be dishwasher since she’d rather do that than cook. Ha! Fat chance. 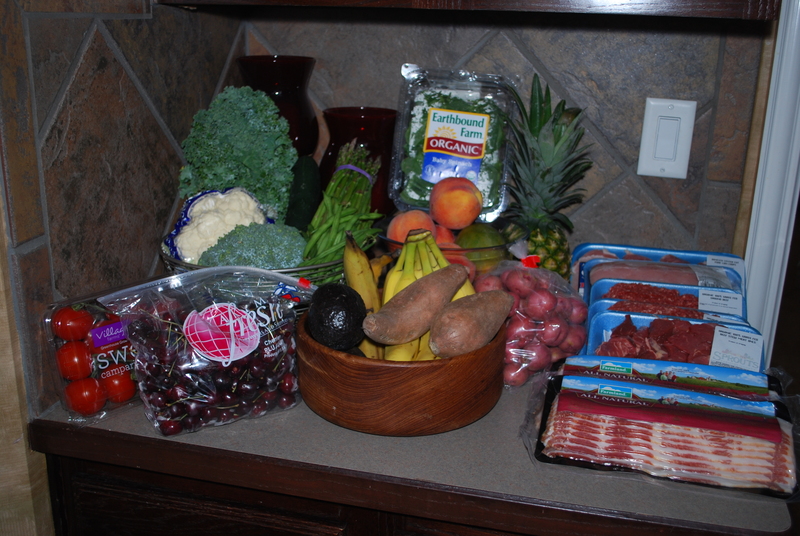 So to give you a breakdown of what we typically eat during the week, this is what it looks like. 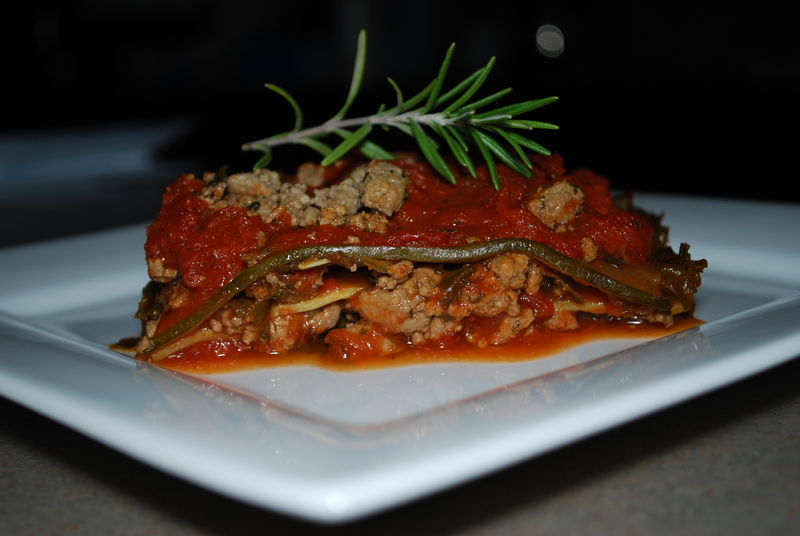 You can check my recipes tab for more inspiration. 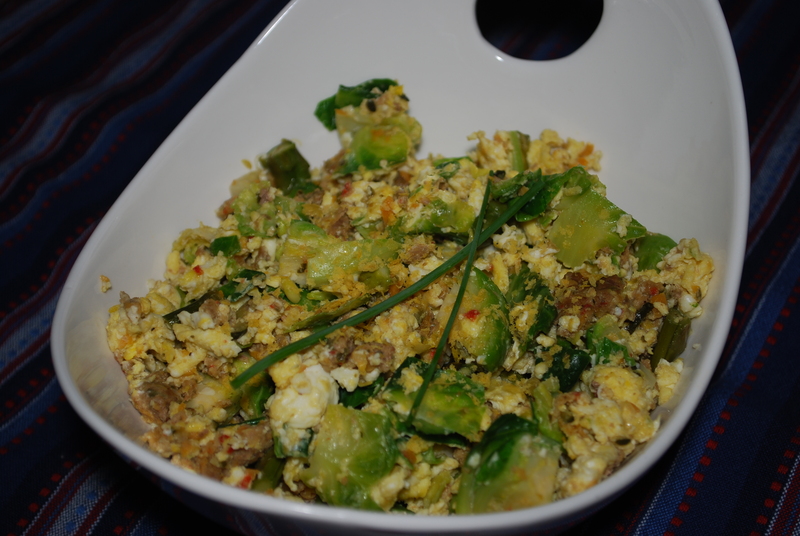 -Scrambled eggs with broccoli, Brussels sprouts, spinach, zucchini, bacon, nutritional yeast, etc. The sky’s the limit with what veggies you could put in your eggs-you could even do an omlette and toss it all in. -Diced tomatoes, cucumbers, zucchini, and avocado with extra-virgin olive oil, balsamic vinegar and garlic powder. Yum! 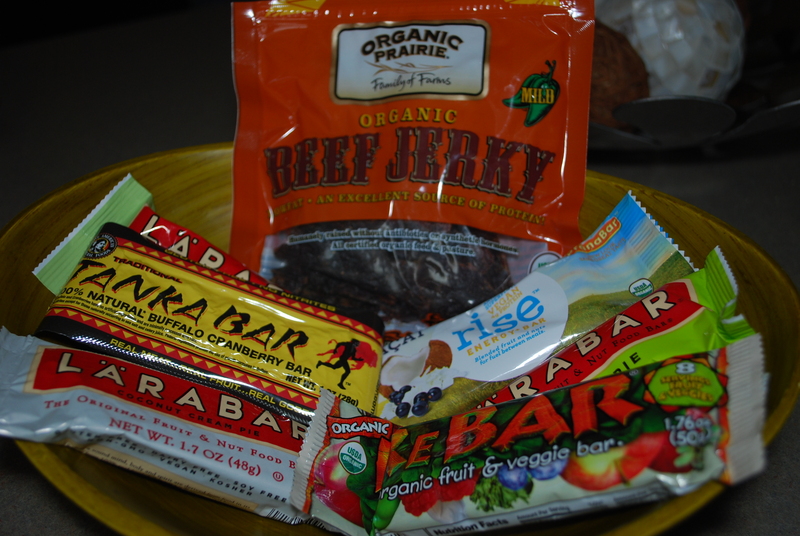 -Organic Beef Jerky, LÄRABAR, ReBar, Rise energy bar, or Tanka bars *I swear by these! Yes, it appears that we are constantly eating but it doesn’t seem to be bad for us. I know veggies give you the fiber that beans never could and protein gives you the energy you need to sustain throughout the day. I kid you not, I was telling my friend that I had a new-found energy once we went paleo. As many of you know, toddlers can wear you out, but I would wake up with renewed energy even after only getting six hours of sleep. No good reason why I go to bed so late-guess I’m a night owl por vida baby! Like I said, I’m a work in progress in regards to exercise and sleep (it is 12:37 as I write this). 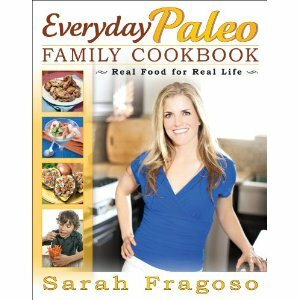 I did want to take a minute to rave about the Everyday Paleo Cookbook by Sarah Fragoso I mentioned in the last post. In her book, you can find easy, delicious recipes, lunch ideas for kids, a shopping list for 4 weeks of food, AND a workout routine. You now have no excuse to say ‘I don’t know what to eat or how to work out in going paleo’ especially since it’s only $18! Sarah also has another book coming out in September called Everyday Paleo Family Cookbook with 80+ new recipes that the family can do together. I am letting the hubby know I’d like that for the b-day since it comes out around my special day. She even has a book for kids, called Paleo Pals, to get them started on their paleo journey and help them understand what is happening. In case you’re wondering what a typical day of grocery shopping looks like (besides the above mentioned Costco), check this out. The family all headed to Sprouts for some grocery shopping after Josh and I donated some good ‘ole red blood yesterday afternoon. I think we made out like bandits with all our provisions and spent just under $100! I still can’t believe it. This picture shows a boat load of meat, sans two 6-packs of chicken thighs (those were already on the Big Green Egg for dinner), that SHOULD last us a couple of weeks. Does that help? I thought it might be easier if you actually have a rundown of how to eat paleo, especially if you don’t know where to start or are intimidated. I just gradually made the changes and once I felt amazing we just kept going. Tell me, are you inspired to check out this lifestyle or are you content with your bag of carby goodness and yelling ‘Heck no we won’t go!”? Note: Pictures from here and here. Note: Once again-I wasn’t paid or perked for this.